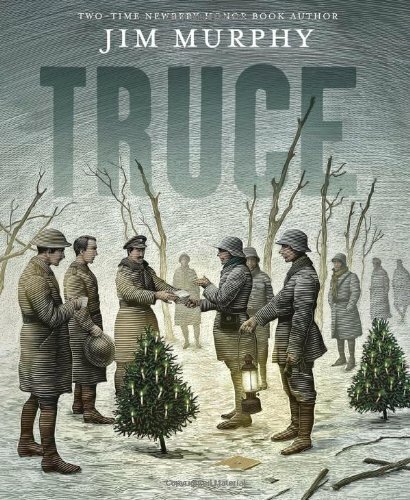 That fab illustration comes from the picture book The Christmas Truce by Carol Ann Duffy, published by Picador — details below. Isn’t it lovely? The holiday season has always been a very special time of year. A time of forgiveness and friendship. A time where people can set aside their differences, their conflicts, and come together to celebrate the magic of the season. Perhaps one of the best examples of this can be found in the Christmas truce of World War I. 1914, the Western Front: World War I had started five months prior, and it was only now that the people of Europe realized just how devastating this war was going to be. It had been commonly believed that one side or the other would quickly gain the upper hand and end the conflict, but as trench fighting grew more prevalent and so called "No Man's Lands" developed, the war quickly fell into a stalemate. German forces, who had quickly pushed deep into France, were rebuffed and forced to take up defensive positions. When the British and French forces who gave chase failed to break through the German line, they too took up defensive positions, solidifying both coalition's front lines. Weeks passed, and nary a man had the nerve to jump out over the top of his trench and brave the artillery and machine-gun fire that peppered the space between the opposing sides. While skirmishes had been common place early on, as time dragged on, both sides grew lazier and lazier, to the point where on many areas on the front line, no fighting was occurring at all. And it was then that something magical happened. Something wholly unique in the history of human conflict. For over a thousand years, the Germans, French, and British had squabbled with each other, fighting and killing in countless wars. But it was then, in what was thought to be the war to end all wars, the unthinkable occurred. Christmas was coming, and on that special day the soldiers in the trenches held onto what little holiday spirit they could muster. Singing broke out, as men began to sing holiday carols from their positions. The sound carried over the thumping of artillery, and just as the Allied soldiers could hear the Germans, the Central Power soldiers heard the singing of English and Frenchmen. As time went on, they began to sing in unison. And then the two sides began to emerge from their trenches—unarmed they walked to the center of the war zone. In the distance, the drum beat of artillery ceased, and all that was left was the singing of soldiers who, for the first time in months, had something to smile about. British, French, and German soldiers mingled freely. Speaking to each other as best they could. Laughing, joking, singing, and numerous soccer games broke out. And this wasn't merely one instance, but all along the western front, soldiers from both sides were laying their arms down and stepping out of the trenches. Men, who had days ago been shooting at each other, were shaking hands and exchanging gifts of chocolate rations and various trinkets. Men whose countries viewed each other as bitter enemies were getting along as if they were the best of friends. The unofficial cease-fire lasted in some places until days after New Years, but after that, it was back to the brutal attrition war that was World War I. Perhaps the soldiers didn't realize it at the time, but the Christmas Truce showed just how reluctant the European soldiers were to be fighting each other yet again, for ever more muddled reasons. But perhaps now, with the power of hindsight, we can learn an important lesson from that historical event. This Christmas, think about the people you know. People you might disagree with, or not really like. Why can't you get along? Is there really any good reason? Because compassion and forgiveness are two key parts of the holiday season. No matter how many people tell you it's about getting free stuff under a tree. Looking for a non-traditional holiday read? 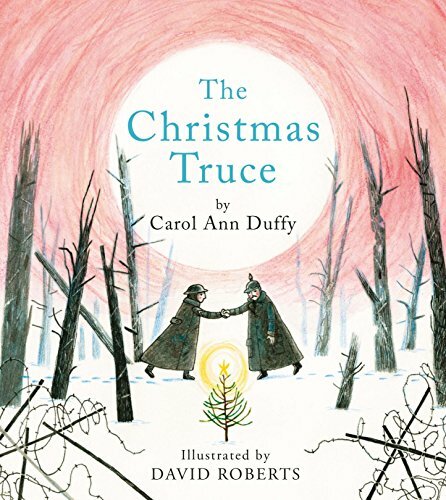 These books about the Christmas truce during World War I make great seasonal readalouds. 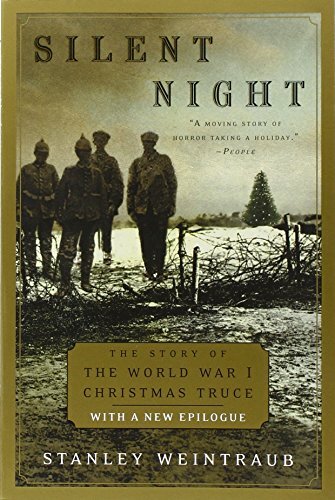 For a more sophisticated analysis of the Christmas truce, pick up Silent Night: The Story of the World War I Christmas Truce by Stanley Weintraub, which includes primary sourceaccounts from soldiers who were there as well as thoughtful historical context. Kane Taylor is home/school/life’s Tech Talk columnist and an avid history buff. If the Civil War’s on your to-study list, these books will help you dig into the complicated, bloody conflict that continues to inform American consciousness today. These movies bring medieval history to life.